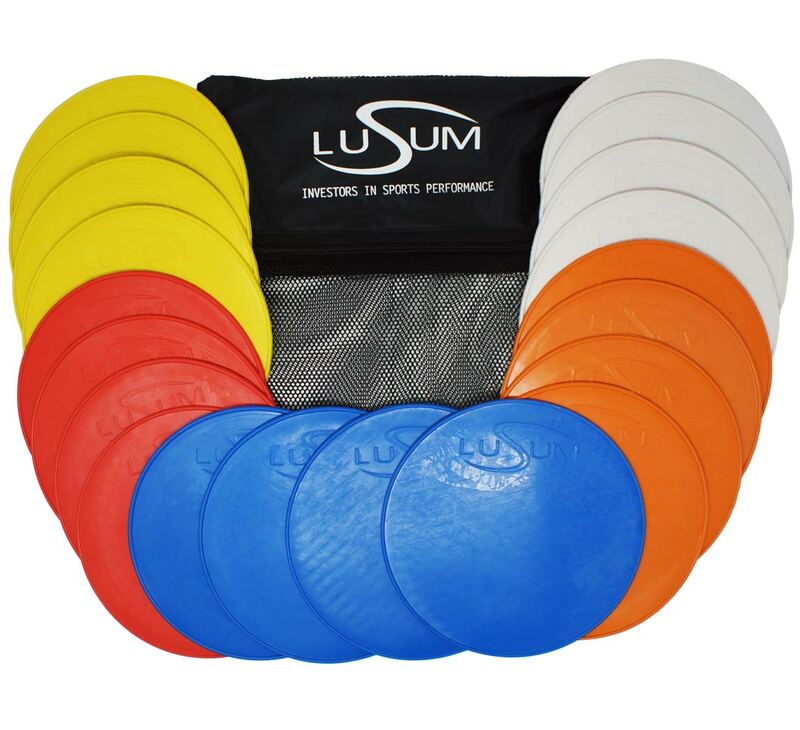 This pack of Lusum Non-Slip flat round rubber space markers come in a heavy duty zipped carry bag containing 20 assorted coloured discs. 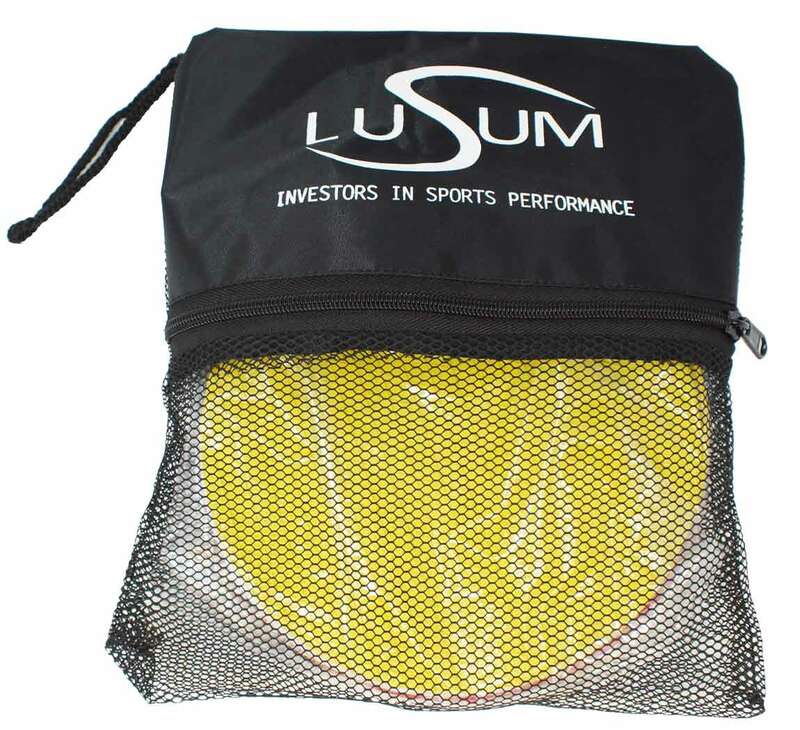 These Lusum flat round markers are the best quality discs available and offer best value with this pack of 20 discs. These flexible rubber discs can be used indoors or outdoors on any flat surface. They are hard wearing and measure 200mm in diameter.